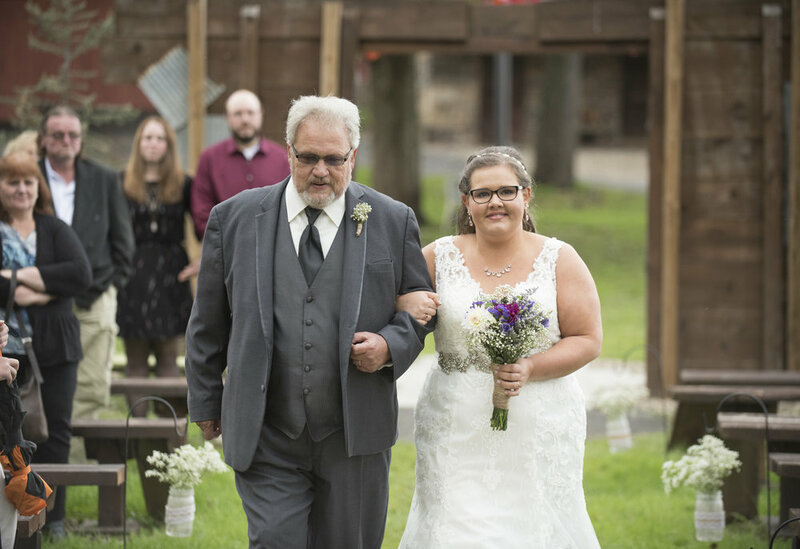 I met Heather and Zach a year ago when they reached out about booking their rustic barn wedding at The Stone Barn Farm in Selingsgrove, PA! There is something magical about farm weddings during the fall time. I met this wonderful couple last fall for their engagement session. 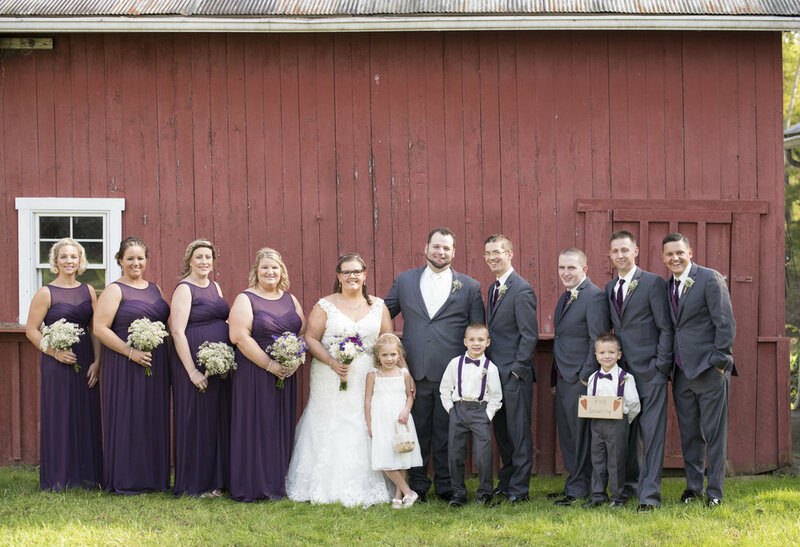 Before long, their wedding day morning was here at The Stone Barn Farm! They spent the morning on the beautiful farm property, spending the prep time with their closet family and friends around them. Heather and Zach did not want to see each other before the ceremony, but still wanted a first look. So we managed a beautiful first look, without the look! I had them meet one of the barns on the farm, and connected hands around the corner without looking. They spent a moment of silence, holding hands, smiling, knowing within the hour, they would be saying I DO. They had a beautiful ceremony at the river front, with the fall foliage trees overhead. The lighting that day was amazing- a nice golden lit provided some extra romance! They spent their portrait time running around with me around the farm, and I spied a beautiful wildflower wheat field! 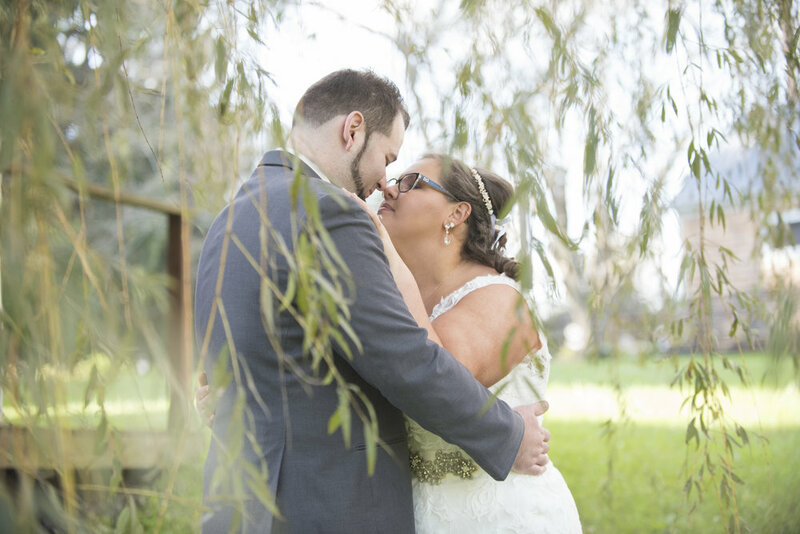 The golden hour light was peaking for the day, and we got some magical, romantic portraits in the field! 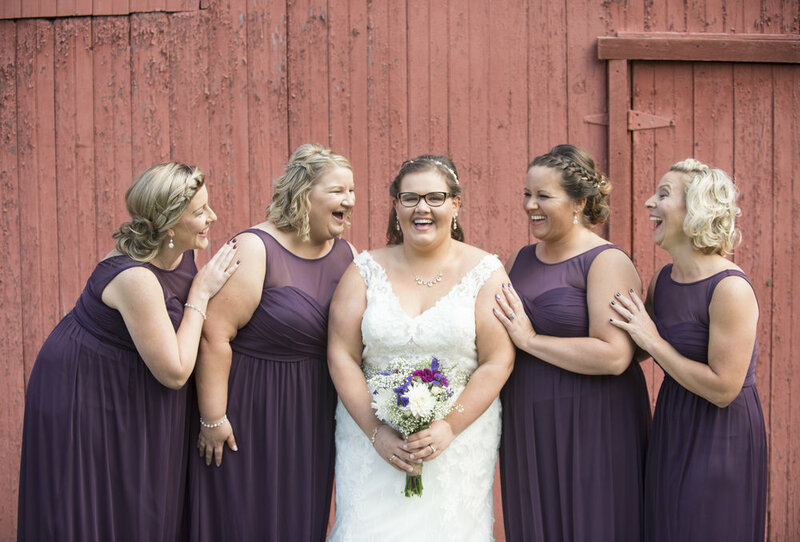 They spent the night partying away in the barn with their family and friends, followed by a AMAZING sparkler exit! 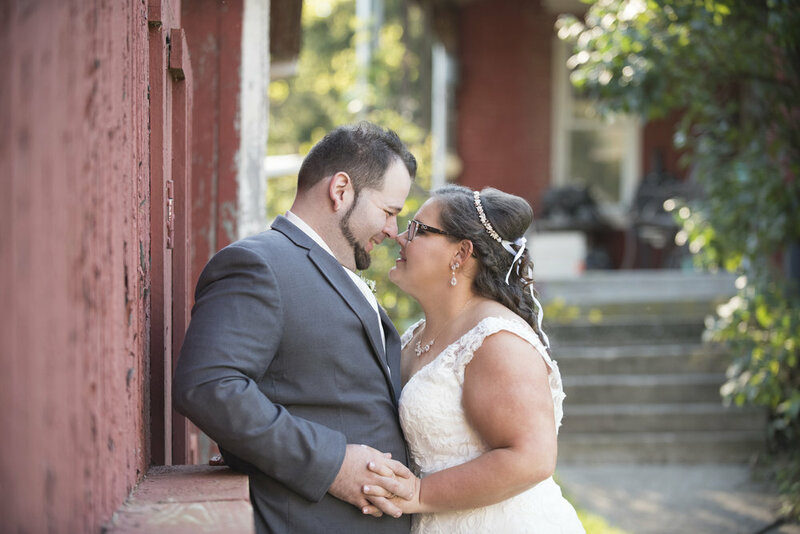 Thank you for choosing Boswick Photography to capture your love story!